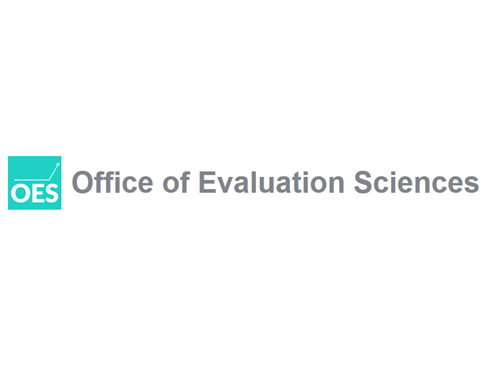 The GSA Office of Evaluation Sciences (OES) is currently accepting applications for one-year fellowships beginning in October 2019 in Washington, D.C.
OES is a team of applied researchers tasked with building insights from the social and behavioral sciences into federal programs, and testing and learning what works. The work and role of OES are unique – directly designing, implementing and analyzing evidence-based interventions and randomized evaluations in a large-scale federal policy environment. OES Fellows apply promising interventions at a national scale, run large-scale tests reaching millions of people, and work closely with key decision makers in government. Fellows shape their own high-impact portfolio of work, design and direct projects, author academic publications, and benefit from a dynamic team and flexible Federal work environment. Over the past four years, OES has completed over 60 randomized evaluations with agency partners. For more information on our portfolio to date, go to https://oes.gsa.gov/work/. Please consider applying and pass this opportunity along. The deadline to submit an application is 11:59 pm EST Sunday, December 30, 2018. One year US government fellowships doing large-scale randomized studies was written on December 12, 2018 and filed in Jobs.